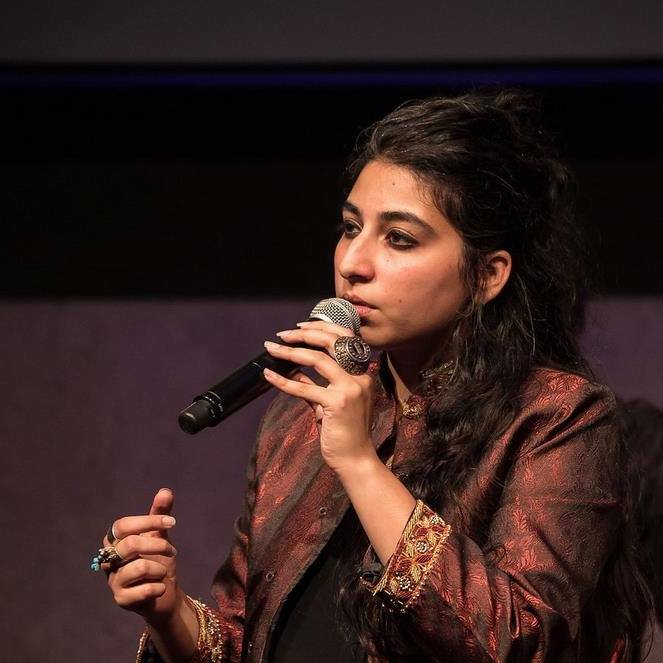 Born and raised in Lahore, Pakistan, AROOJ AFTAB came to prominence in Pakistan in the early 2000s when she developed a style that combines Sufi-mystical poetry with the spirit of independent rock. This sound catapulted her to stardom from a then fledgling underground and online music community in Pakistan. She eventually moved to the U.S., earned a degree at the Berklee School of Music, and now lives in New York City. In 2011, NPR listed Arooj as one of the Top 100 Young Composers of today, alongside names such as grammy award winning Esperanza Spalding and Fusion Jazz piano virtuoso Vijay Iyer. The New York Times included Arooj in their list of Best Concerts of 2012. TimeOut Magazine rated one of her collaborative projects in the Top 10 Classical Albums of 2013. Most recently, Curious Animal Magazine has listed Bird Under Water among the 10 best albums including Bjork, Sufjan Stevens and Kendrick Lamar. Arooj has collaborated with world-renowned artists such as Meshell Ndegeocello, Esperanza Spalding, DJ /rupture, and Abida Parveen to name a few. She has performed her music at major venues such as the Lincoln Center, Highline Ballroom, Le Poisson Rouge, and the Museum of Modern Art in New York. She has also been invited to perform at festivals such as The Big Ears Festival, The Ecstatic Music Festival and the SF Jazz Festival to name a few.